Takashi Japanese Cuisine strays from the ordinary. 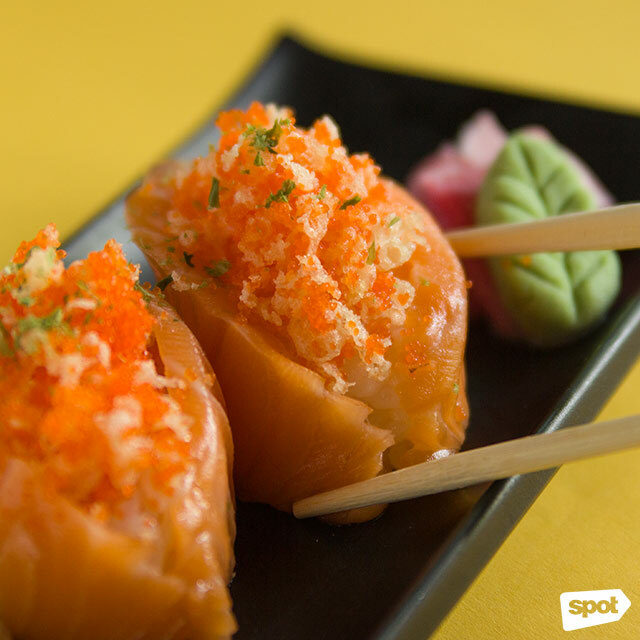 (SPOT.ph) It’s been a solid three years since Takashi Japanese Cuisine opened its doors to hungry Kapitolyo diners but not once did they settle. Their constantly evolving menu is proof of head chef and namesake Takashi Kawasaki’s creativity and enterprise, which he shares are mainly inspired by his back-and-forth culinary excursions to the country where he was born: Japan. Japan—the land of all things done with precision, and of course, abundant eating delights. For Chef Takashi, traveling helps him stay on-trend and keeps his brain cogs turning for new cooking ideas. “If it’s not yet [in the Philippines], I’ll start working on it,” he says. With only stock knowledge from one of Japan’s prestigious culinary schools, and a whole lot of grit to back him up, the then 25-year-old moved to the Philippines to find a career in food. Fate must have been on Chef Takashi’s side the day he met a group of entrepreneurs who let him take charge of a new neighborhood joint, and even named it after him. 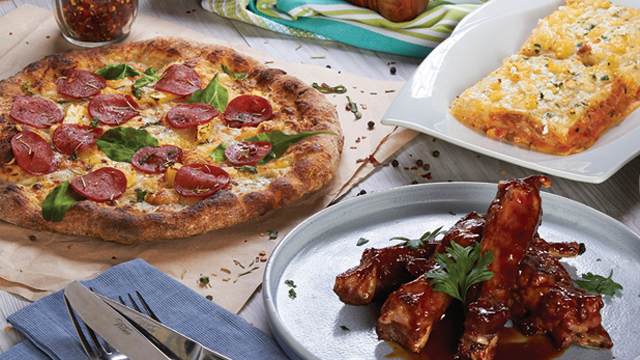 The restaurant’s revamped menu features more playful dishes that would excite anyone, especially Japanese food fanatics. Take, for example, the Salmon Gunkan (P190), which is a reinvention of the classic “battleship” sushi called gunkan. Instead of working with seaweed or nori to create a bite-sized piece that resembles a little boat, Takashi uses only the freshest sake sashimi. The tender salmon then cradles a pinch of fluffy Japanese rice, fish roe, and tempura flakes that all yield a mishmash of textures. 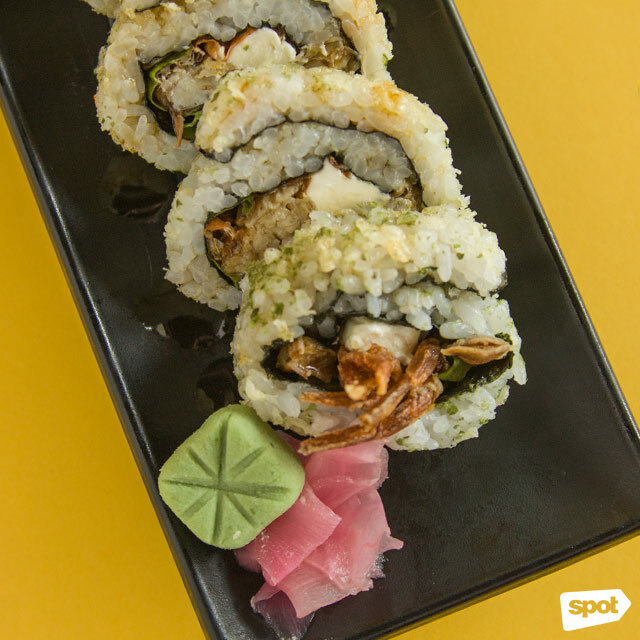 The Spider Maki (P275), on the other hand, is a scrumptious sushi roll with crispy soft-shell crab and lettuce, while a knob of cream cheese adds a surprising richness to the dish. 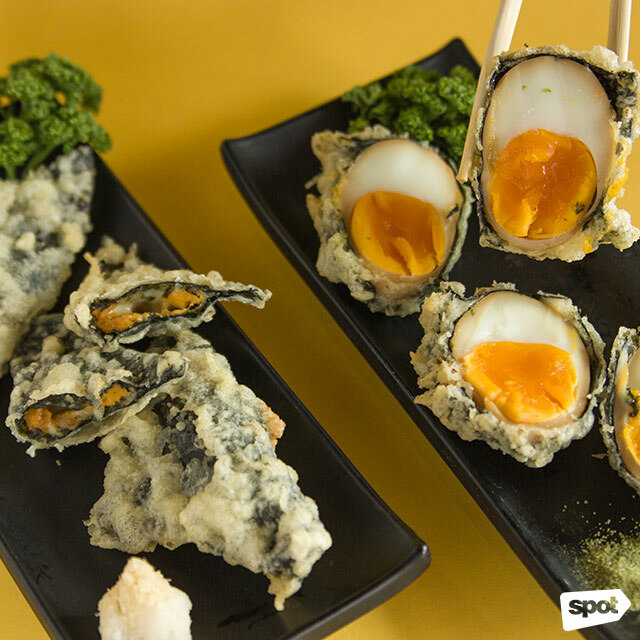 If you’re looking for deep-fried options, the Tamago Tempura (P180) is a silky soft-boiled egg encased in a crackling tempura nori. Meanwhile, the Uni Cheese Tempura (P220) will make your heart flutter—blanketed and cooked in the same batter, each triangular piece is filled with morsels of raw, velvety uni or sea urchin and gooey cheese. Talk about decadence. 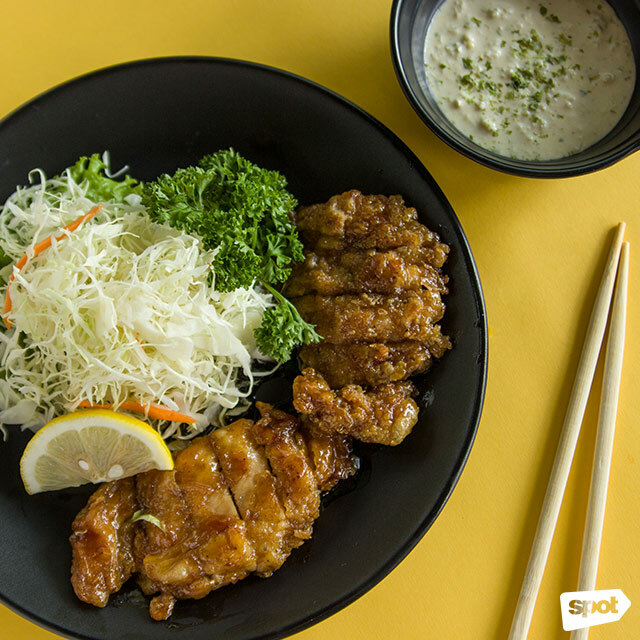 The Chicken Teriyaki (P180) is prepared the classic way, with a generous platter of grilled chicken slices glazed in a delicious and sweet teriyaki sauce. To add a hint of novelty, Chef Takashi serves it with an ultra-creamy tartar sauce that will somehow remind you of a properly executed egg spread. 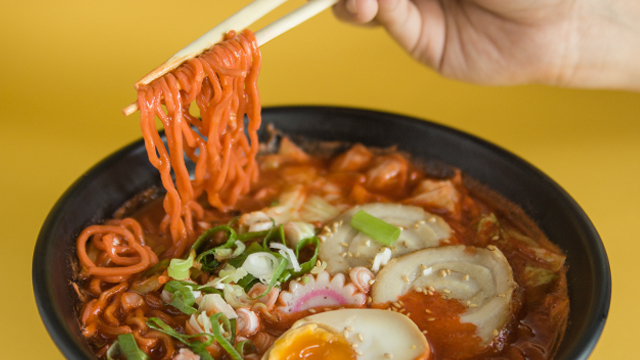 Be warned about the Volcano Ramen (P320), though. 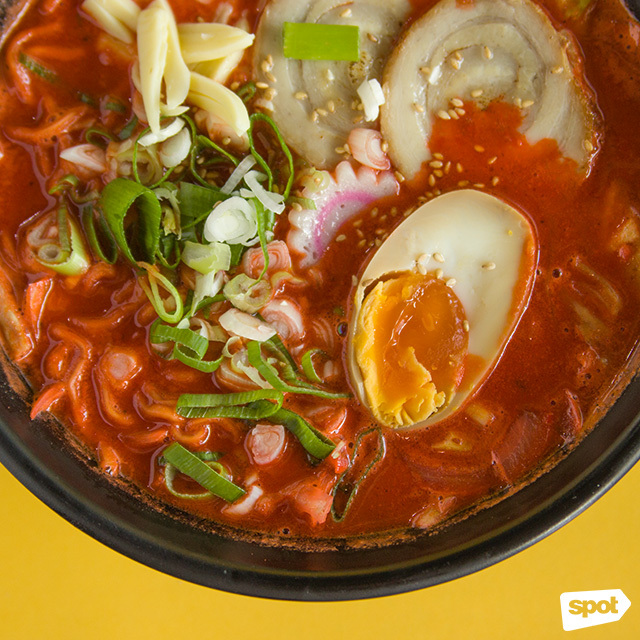 If it isn’t obvious enough in its fiery red-colored broth and noodles, one sip will set your tongue on fire. Its explosive spiciness can be controlled, though, with none other than Chef Takashi asking about your spice preference—we got a four out of five. 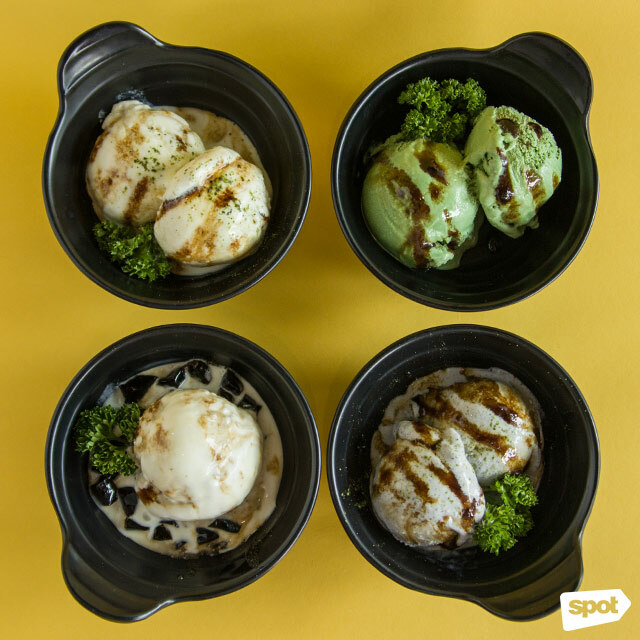 To finish their satisfying meals, cool down with their many-flavored ice creams such as the Vanilla with Matcha (P60), Sesame with Kinako (P70), Green Tea (P70), and Coffee Jelly (P90). Next time you’re in the area, remind yourself to drop by Takashi Japanese Restaurant because who knows? They might have come up with yet another menu addition (as they always do). 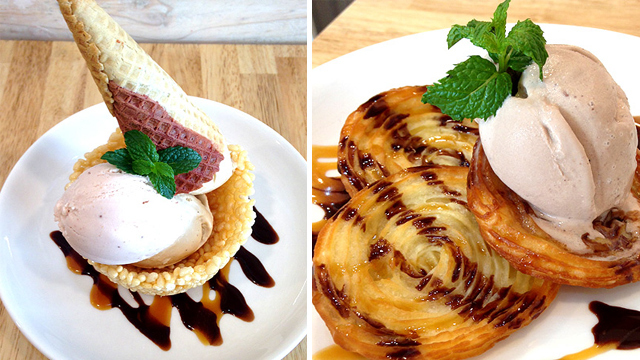 After witnessing and sampling their latest dishes, we’re sure you wouldn’t want to miss a thing.